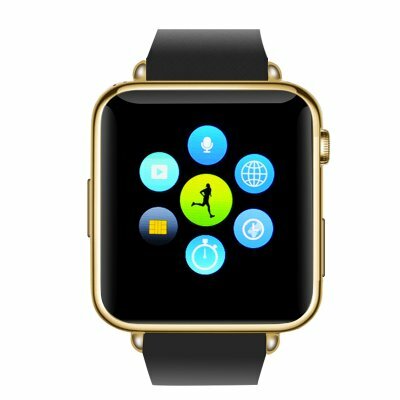 Successfully Added Bluetooth Mobile Phone Watch - GSM SIM Card Slot, 32GB Micro SD Slot, Phone book, Call Answer, SMS (Gold) to your Shopping Cart. MTK6260A Bluetooth smart watch mobile phone with SIM card slot has 32GB micro SD card slot and Phone book sync as well as call answer and a host of other features. This Bluetooth watch phone take its inspiration from the latest brand smartwatches but offers SIM card connectivity for a fraction of the price. This feature smart phone watch comes with its own custom system and slots for a micro SIM card as well as Micro SD card that can offer up to 32GB of storage. With Bluetooth 3.0 it can sync to your Android Smartphone bringing notifications from your favorite social media as well as calls, SMS and phone book data straight to your wrist bypassing the need to remove your phone from a pocket or bag. 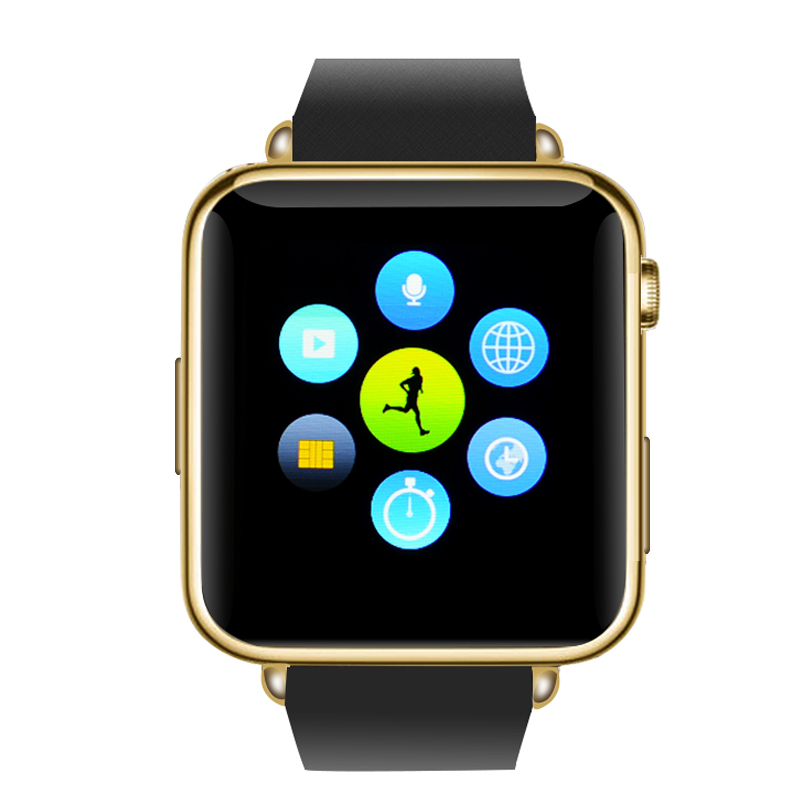 When used with IOs systems you can play your music through the watch as well as have calls and message updates. If you feel like leaving the phone at home then make use of the Micro SIM card slot that let you keep connected without the need of a phone. Having 4 band GSM support over 850/900/1800/1900 frequencies will bring strong connectivity so everything’s right on your wrist whenever you need it. Enjoy a smarter life with this great value Bluetooth Watch phone. This product is in stock now, we offer a 12 months warranty on all our products. Brought to you by the leader in electronic devices as well as wholesale smart watches, Chinavasion. Great product and fast shipping. I order it on the 8 or 9th and received it on the 11th of sept. Everybody want my watch built solid too.